Teacher, Poet, Young Adult writer, Mother and Professional Tunnel Visionary. You know, every time I write a review, I wonder if I'm supposed to recap the story. I mean they do that on the back of the book and in the descriptions on Goodreads. So, I will not insult your intelligence by repeating the story again. Instead, my reviews will just be a theme summary and maybe comments on author style. Just felt that needed to be said. This is a sweet story of finding your new life in unexpected places after your old one crumbles. Realizing you need to live in the here and now and enjoy all the flaws of life is the best gift you can give yourself and those you love. I loved the book and can't wait to see the movie!!! This novel is a nugget of Southern life not often found in YA these days. Often, books set in the South are Civil War laden and Historical Fiction. 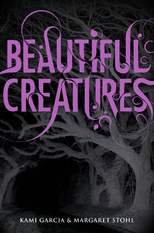 Beautiful Creatures, with its modern day Gatlin setting, was not your "typical" YA location. For this reason, I liked the book. The fresh perspective and setting gave characters some room to stand out from all the dystopian love tragedies out there. However, I don't know what it was about this book that left me wanting more, feeling somewhat unfulfilled. Something was missing. There was this constant vibe of Twilight and Harry Potter and something else. As I read, I felt like some parts were overwritten, like missing his dead mother, and other parts were underwritten leaving me to fill in the blanks, like dad and his lack of writing. I wanted to love this book. I was pulled in by the sensory language (Lena's hair constantly curling and uncurling) but then left hanging there by the lack of character depth and development in some of the key auxiliary characters (even Amma seemed lacking). I still intend to see the movie in hopes the plot will be redeemed, but sadly, I'm just not feeling the pull to read the rest of the books in the series. Wow! Wow! Wow! Loved this book!! All my life I've been made to feel like the "little stuff" is way less than I make of it. And yet, when dealing with the private demons of depression, all those little things, woven together, have occasionally created a blanket, smothering me from the inside out. Hannah Baker was so painfully real to me that I had to keep reading, even when the pain was too much. I felt my own youthful emotions justified, bringing a balance to my adult life. Thank you Jay Asher for helping me remember what it feels like to see how things are connected and have the strength to break it. This book will be passed along to many of my students!!!! Click here for more information on the book and to visit Jay Asher's website. Remember that feeling of picking out a stack of books, running to the most obliging adult, and begging them to read you a story? Then there is that warm, tingly feeling you still have when you see a book from elementary school--one of those the teacher read to the class as we all lost ourselves in an imaginary world for a bit. Reading is one of those common experiences we all share. It is entertainment, education and promotes bonding. We begin experiencing reading even before we can do it by ourselves. By middle and high school, something happens though. No longer do we look forward to those "class books" and those shared moments. Why is this? What changed? Well, here's what I see everyday in my job as a 7th grade English teacher. My middle school students can all tell me about a book sharing experience that brings out a smile, however, these experiences are few and far between after 5th grade. Frequently, parents ask me what books their child should be reading. That one is easy to answer. Too often, parents ask what book their child IS reading and each time I answer, I am sure to include a reason or two for a parent to pick up a book with their child. 5. Fun: Let's face it, many of these YA books are big in the entertainment biz. Just look at Harry Potter, Twilight and most recently, Hunger Games. Reading some of these pop culture phenomenons along with your kids can offer up a fun experience for the whole family. Last year, during the Hunger Games boom, so many kids were reading the series, we organized a field trip to the movie. Nearly the entire 7th grade (300 kids) went and we had parents volunteering to chaperone like we had never had before. While there was learning involved, the whole experience ended up more like a big celebration of pop culture and community building. 4. Conversation: For many adults, talking to teens feels like a litany of chores lists, commands and discipline. Having a common book to talk about can lighten the mood a little and give both you and your child the chance to practice having adult conversations. Book talk can eliminate the threat of judgement and "personal" topics, allowing both kids and parents to let down their guard a bit. 3. Support: Reading, even fiction novels, is essential for learning. As the readers age and become more and more complex, so does the structure, vocabulary and content of the books written for them. To help students access the new levels of reading and analysis, they need help. They need to hear conversations about the books, they need to hear a broader vocabulary and they need to develop an understanding of the content of the novel. Even the most informal of conversations about the text can boost their engagement and encourage them to pursue the outcome of a more challenging story. 2. Bonding: Even if you aren't entertained by the books your teen is reading, there is this unspoken bond that happens between people who have read the same book, as if only they share secrets the author has whispered. Reading these books also gives adults an inside look at the topics that interest, intrigue, confuse and fascinate their developing young adult. 1. Unsuspected Surveillance: Odd as it may seem, reading the same books as the teens in your life gives you an inside look into their world and may alert you to problems before they become tragedies. With this one, you do have to use some caution and intelligence so you don't jump to conclusions. Teens are naturally interested in drama, so the teen pregnancy stories and stories about drug abuse and such do not mean your child is involved in these activities. However, being able to have those conversations mentioned in reason four will give you the open door you need if you suspect poor choices. 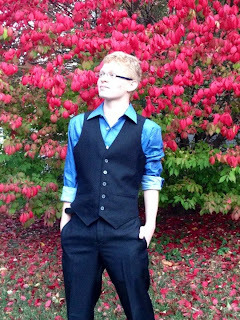 The best example I have of this actually inspired this blog post and comes from my best friend and her stepson. I noticed he posted on his Facebook about someone creating a fake profile with the name Hannah Baker and talking about people from school. Immediately, I was alarmed and able to message both him and my friend about handling the situation carefully. See, in the book Thirteen Reasons Why by Jay Asher, Hannah Baker is a character who committed suicide and left her suicide note in the form of thirteen tapes to be passed along between the thirteen people she felt responsible for her choice. A fact I knew because I had recently read the heart wrenching book. Teens often hide "their world" from adults and believe no one will understand them. They want to reach out and connect with us, but frequently don't know how. They try using coded messages and actions like the Facebook incident above, hoping someone will pick up on the message and reach out to them. Sharing the reading experience with them provides avenues for communication and trust that may not be there otherwise. Give it a try, ask your kids what they are reading, pick up a copy and join them. Can't hurt. Wait!! This is not SPAM! I really am blogging. With the New Year I am intending to dust off my space here and get back at things. I have now finished painting the entire first floor of my house and can once again use my *cough* spare time to write more. My friend, Beth Fehlbaum, is an inspiration to me as we have both risen from childhood trauma only to inspire and teach as well as write. I am honored and strengthened by Beth and the voice she gives to survivors. Where did the idea come from for the book? Wow. Well, we were doing a character sketch in one of my classes and all of a sudden I had to step away from what everyone else was saying so I could write down my own character sketch. Gracie and Kaitlin were so loud and forceful, wanting their stories told. It was pretty freaky. What genre does your book fall under? Young Adult Contemporary (Realistic) Fiction. What actors would you choose to play the part of your characters in a movie rendition? For Gracie, I think I would have the actress who played Minny from The Help, Octavia Spencer. I'm not sure who would play Kaitlin... she's only about 17 through the bulk of the book. What is the one-sentence synopsis of your book? Kaitlin was abandoned as a young child and raised by Gracie. After 13 years, her birth mother returns to explain herself, however NOTHING is what the artistic Kaitlin imagined. I have no clue. I don't know the first thing about the publishing end of things. I have to finish the book first. How long did it take you to write the first draft of the manuscript? 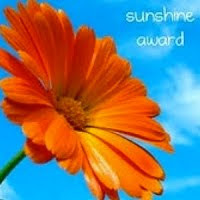 Still writing... 2 years now, with a divorce in the middle that slowed things down a LOT! Who or what inspired you to write this book? Well, the book forced itself on me sort of and then one of my students inspired the development of the story. Anger drove so many of her decisions in school and it wasn't until almost the end of the year that I found out why she was so angry. 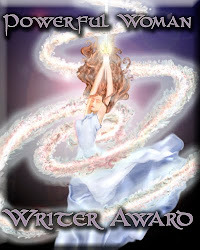 I was astonished by her story and it fueled my novel. What else about the book might pique the reader’s interest? I am writing the book attempting to use African American dialect for some of the key characters. This is challenging me. I am also scared to finish the book because of the stark examples of racism. It hurts me to write some of these things. Check out all of the following author-friends of mine and encourage them to participate in THE NEXT BIG THING on January 2nd! Trish Stewart, author of Taking Lessons From Ernest, released in 2011. She has pushed me to "just get it written" and then go back and fix it. This is easier said than done. Megan Messina Bostic who wrote Never Eighteen, a wonderful novel that follows a young man's journey to make life right before he dies. She has inspired me more than she could know, as I "found" her through a mutual friend at a critical turning point in my life. I am supposed to have two more authors to feature on here, but would rather go with quality than quantity during this busy busy time of year. Have a great 2013 and do 2012 out right!!! I'm taking this moment for a shameless brag session. I am proud of my son. He was in the NICU as a newborn and had to survive my inept parenting since he was the first and I was only 22 years old. Now, he is closing in on 15 and a constant joy in my life. From asthma to struggles in math, from his amazing sense of humor and his natural inner peace, he has taught me how to love and how to be a parent. It is for him that I keep my feet on the ground and my head level. 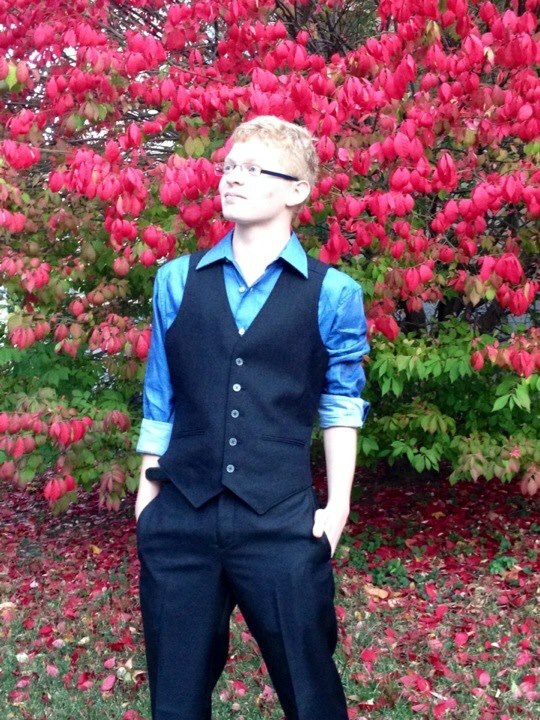 Enjoy your first Homecoming my little Leprechaun!! I love you!!! I'm a pantser. Complete and total, write the story as it comes, perhaps foolish pantser. Writing with no plan but find myself driving down the road, struck with the missing scene I didn't even know was missing kind of writer. I'm also a divorced, co-parent of two active and involved boys, a full time Communication Arts teacher to an average of about 70 students a year, and girlfriend to an amazing and hard working man. These many "hats" I wear (not even including daughter, friend, etc.) are proving to be mildly incompatible with my writing style. I'm often time or energy challenged as I attempt to complete my first novel and maintain any kind of blog or writer network. Yet, I refuse to give any of it up. 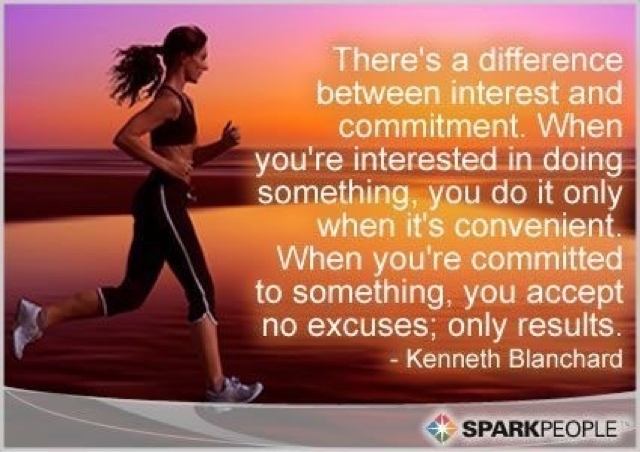 Recently, I saw this quote about commitment (see picture). While I may be filled with guilt to say I am a writer, while rarely truly writing over the past several months, I am continuously noting scenes, crafting their connections, observing speech patterns in my students so as to replicate these in my characters and reflecting on what I learn from the writing world around me. Slowly, sometimes painfully so, I am morphing and adjusting to the life around me, learning the skills and tricks to keep me writing. And this kind of thinking, has to still count as commitment to my craft on some level. I refuse to let myself believe otherwise and be held back by negative self-talk. So far, my biggest challenge is letting go of the need to write scenes in chronological order. As a pantser, or perhaps just as a neophyte writer, I want to sit and write the story as it comes to me, in order, beginning to end, despite challenges along the way. Simply crafting a scene as it hits my head really doesn't work for me. Or should I say, I haven't allowed it to work? Lately, it has struck me that I could craft a scene as it strikes and then later weave the scenes together in the order they should be in. "Revision is precisely for that," as I so confidently teach my students. Yet, I still struggle to make this happen. Perhaps, now that I have a strategy, albeit one that I'm struggling with because it has no order, I can better utilize or structure my time to include "writing windows" each day. No matter how long this takes me, I WILL NOT GIVE UP THIS DREAM! I WILL FINISH THIS BOOK! For my fellow writers who also have full-time work outside of your writing lives, how do you balance it all? How has your writing style had to adjust to fit your ever changing life? What skills, tricks or tools have helped you stay on track the most? Hey all, I’m Christine Benson and I will be your random blogger. Why me, you ask? Well, over the past year I quit pretending that writing wasn’t important to me and began to actually pursue my lifelong dream of being published. I used to open those huge, musty anthologies in my English classes and swear that one day I would be good enough to have my work studied by kids across the world. Then, as poetry helped me dredge through my teenage years, I dreamt of someday becoming Poet Laureate. Well, I’ve since learned that none of that can happen if you don’t sit down and write something. The novel bug has bitten and I’m currently writing my first Young Adult novel which I plan to have drafted by the end of June 2012. This whole process of actually following my dream has revealed oodles about my writing process and me in general and I want to share those lessons with you. I teach middle school by day, occasionally zombie by weekend, while parenting and writing the rest of the time. In my life, there is music always, new experiences daily and a pursuit for my dreams in every breath. Can’t wait for your feedback as you join me on this adventure in blog world! Stay Groovy!! Christine has read 6 books toward her goal of 52 books.